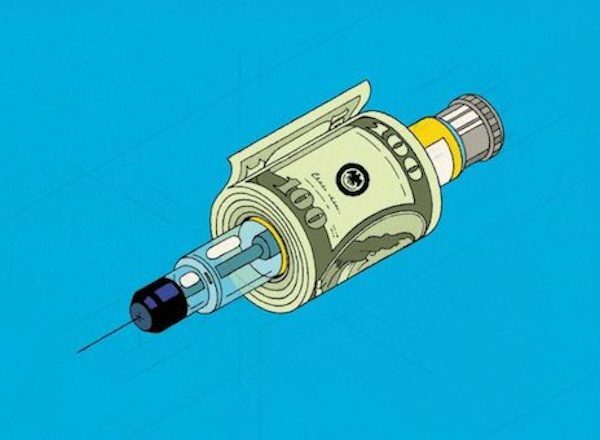 Drug Prices: What Can Be Done? In it’s latest opinion, Dr. Elisabeth Rosenthal, argues that everyday drugs like EpiPen, should be economically affordable to all. After Mylan, the pharmaceutical company and owner of EpiPen, raised the drug’s price from $100 in 2008 to $600 this year, it received a series of critics and backlash. This resulted in Mylan offering patients co-payments on the drug, as well as giving out generic versions of the drug. Nonetheless, as Dr. Rosenthal says, this is just a temporary “band-aid” to a much bigger issue: while patients might not suffer the newly spiked cost at the pharmacy counter, insurance companies -which pay most of the drugs’ real cost- will increase their premiums next year; making it much harder for patients and family to have access to a basic life-saving drug. Dr. Caplan, renowned bioethicist, suggests that big pharma should be regulated, so that they won’t “call the shots” on prices to much-needed drugs; and Dr. Rosenthal suggests the same, and other solutions: a national body that sets price ceilings for essential medicines.